An old flame of Quark's arrives on the station, but she's bringing more than fond memories with her. She is a Cardassian dissident, fleeing with two of her students. 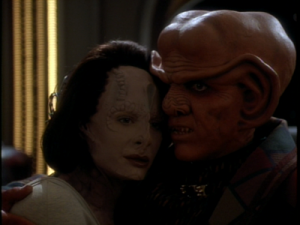 Shortly after their arrival, Garak sees them, and She needs to leave the station as soon as her ship is repaired, but Quark wants to rekindle the romance. Jadzia is acting as "field docent" to a Trill symbiosis initiate. While on a shuttle mission to the Gamma Quadrant, they run into an unusual and unexpected phenomenon - a new universe in the process of forming. Now, they must decide what to do both to preserve their own universe as well as to address the initiate's personality faults. You'll have to speak up, I'm wearing a towel! 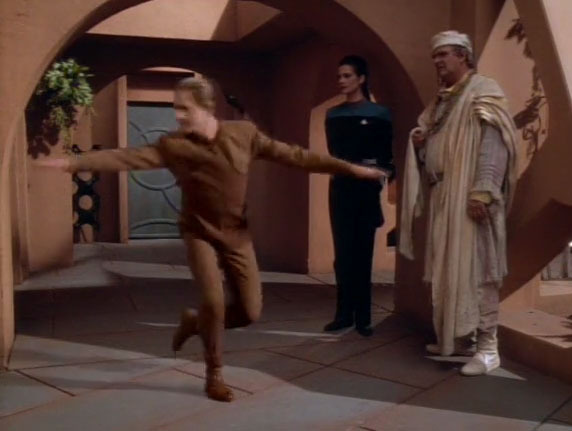 Dax and Odo are investigating anomalous energy readings in the Gamma Quadrant. They discover a small community with a unique problem. Its inhabitants are disappearing, literally. What's causing the people to vanish? Can Dax and Odo help? Meanwhile, on the station, Jake has something important to tell his father. Also, Kira gets a B plot in this episode. There's that, too. While on a survey mission, Sisko and O'Brien are surprised to find an uncharted human colony. 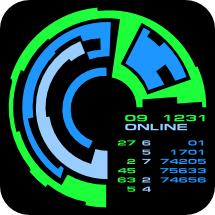 They are even more surprised when they beam down and find themselves unable to use their technology to return to their ship. 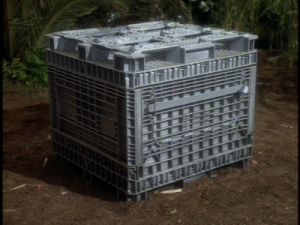 Their attempts to do so place them at odds with the colony's leader, Alixus. We have a place for babies like you... the Box! Chief O'Brien returns from preparing for a peace conference to find everyone on the station, acting strangely. Even Keiko seems oddly distant and evasive. To make matters worse, it seems as if everyone is trying to keep him from being a part of the security preparations for the conference that he should be a part of. Is there really a conspiracy growing against him, or is he losing his mind? Get AWAY! Some good parent told me daddy was replaced with a zombie replica! Here continues our interview with Trek writer Ron Wilkerson. This time, we focused on individual episodes that he worked on. If you haven't read it yet, check out the first part, too!